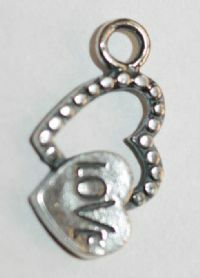 Sterling Silver Small Floating Love Heart Charm. Approx. height is 13mm.